The key to quick healing after your oral surgery in Houston is preparation. Planning to take plenty of time to rest and relax, and filling your fridge, freezer and pantry with soft, easy-to-eat foods ahead of time will make a big difference in your recovery. Your diet is a big factor in healing post-surgery — and we’ve got a list of recommended foods to help you enjoy a speedy recovery. Immediately after your oral surgery, you should begin with clear liquids. Avoid hot or warm foods until feeling has completely returned to the mouth. Chicken or vegetable broth and Jello are good choices until you’re sure you’re ready to begin eating more substantial foods. Don’t rush it — listen to your body and respond by eating as discomfort allows. In general throughout the first week following your oral surgery, you want to stick to soft, nutritious foods. Eating purely ice cream and popsicles may seem appealing, but good nutrition is necessary for proper healing. Plan ahead by cooking and storing meals before your surgery for fast, easy preparation following your oral surgery. 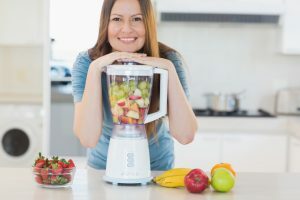 Vegetable purees, soups and smoothies are all good choices — but remember to avoid drinking out of a straw, as the sucking action could cause any sutures to break. For the first week following your surgery, it’s vitally important to avoid foods that are spicy, chewy, crunchy, crusty or otherwise difficult to chew. Some examples of what NOT to eat during these first days include chips, pretzels, crusty bread, cookies, popcorn and nuts. When choosing fruits, make sure to choose seedless varieties. These items can aggravate sutures, stitches and wounds and impede proper healing. Alcoholic beverages and tobacco should also be avoided for optimal recovery. With a little bit of preparation in advance of your procedure, you can help make sure your recovery is as quick and comfortable as possible. If you’ve got remaining questions about your diet following your Houston oral surgery, please don’t hesitate to ask the experts at Piney Point Oral and Maxillofacial Surgery. Contact us with questions or to schedule an appointment today!